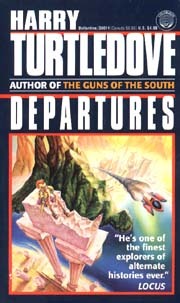 Turtledove, Harry. Departures . Ballantine/Del Rey 1993. 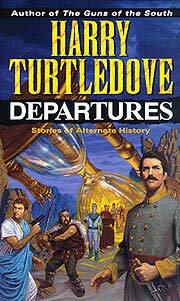 Turtledove, Harry. Departures . Ballantine/Del Rey 1998. Series note: Collection of short stories, including six which are alternate history to some extent: w88 android, "Departures", "In the Presence of Mine Enemies", "Islands in the Sea", "Pillar of Cloud, Pillar of Fire", and "Report of the Special Committee on the Quality of Life". Published: Ballantine/Del Rey 1993/1998 (0345380118BUY).